The Horus Way was the southern section of the Way of the Sea (derek hayyam) mentioned in Isaiah 9:1. It was a military road that ran through Tharu (Tjaru/Sile) in the Sinai and Rafah in Gaza, joining the Nile Valley to the Levant. There were numerous Egyptian fortifications along the Horus Way. The Egyptians exercised control over much of the land of Canaan for a long time. Exodus 14:2 says the Israelites crossed near Migdol. Migdol is an archaic word for a fortification. This is likely the Migdol of Men-maat-re (Seti I), the third named fort along the ancient Horus Way. The Horite Hebrew would have known of this route. The place of crossing is a shallow marshy lake which recedes when the wind blows at 40-50 mph for more than 5 hours. As with all the miraculous signs described in Exodus, the miracle is in the timing. The Egyptians had fortified settlements at many locations. During the Middle Bronze Age (ca. 2200–1500 BC) as much as 70% of the populations of Canaan lived in these fortified towns. Tell el-‘Ajjul is one example. Another is the fortified city of Gezer with its gate, tower, and protected water system. These would have been built under the direction of the ruler of the area, probably a vassal of the Pharaoh. The Judean high places were under the control of Egypt from about 2000 to 1178 BC. The tenth century BC Gezer Calendar appears to reflect Nilotic farming practices. The Egyptians built shrines and temples wherever they went. The first New Kingdom temple ever found in northern Sinai has been located at Tharu. There was a shrine dedicated to Horus with the image of a lion. On Seti I's relief at the Karnak complex, a map of the Horus Way shows 11 forts and a north-south reed lined waterway called “ta denit” (the dividing waters). Likely, there were Horus shrines at all of these forts and these would have been attended by a caste of Horus priests called Horites or Horim. They are also sometimes called Ha-biru (Hebrew). The Egyptians also built Horus temples in their administrative centers such as Beit She’an on the Jordan. A large Canaanite temple excavated by the University of Pennsylvania Museum may date from about the period as Thutmose III’s conquest, but excavations done by The Hebrew University indicate that this temple was built upon an older one. The excavation included three monumental basalt stelae with inscriptions from the reign of Seti I and Ramsess II, a life-size statue of Ramsess III, and numerous other Egyptian stelae and inscriptions, which constitute the most significant assemblage of Egyptian monuments ever found in Israel. 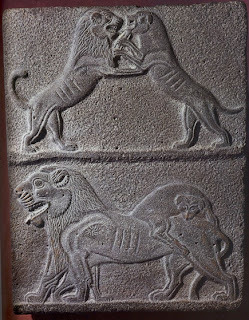 Of special interest is the discovery near the temple of a basalt relief depicting two combat scenes between a lion and a dog. Beit She'an was called Scythopolis by the Greeks. Beit She'an was also called Beth-abarah (House of the Ford) because it was opposite the ford in the Jordan. The Arabic word for ford is abarah. Sir George Grove in Dictionary of the Bible identifies Bethabarah as Beth Nimrah, a few miles above Jericho. Jesus was probably baptized here by John. 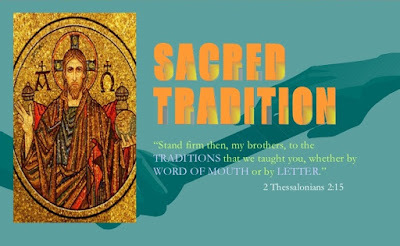 If this is the water shrine where Jesus was baptized, we have another connection to the Horite expectation of the Son/Seed of God. Could it be that He is the Lion of the shrine in Tharu on the Horus Way and the Lion on the stela found near the most ancient temple in Beit She'an? Horus, called the son of Ra, was often shown as a man with the head of a lion or a falcon. Sometimes he is shown as a solar disk between two guardian lions, one looking east and the other looking west. Among the Nubians the sun was a central symbol of life and was often shown as a red orb. This lent the additional association with the red eye of Horus. 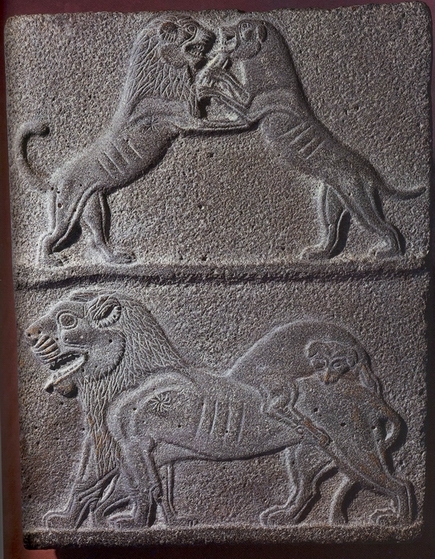 In this ancient Nubian relief we see baboons facing the sun. Baboons chatter at the rising sun. 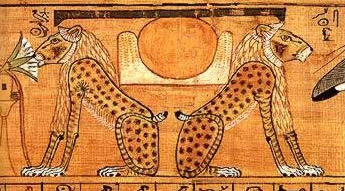 In other versions two lions or two leopards face away from the sun. They are sentinels or guards. The ankh or cross symbol is found over the heads of the baboons. Between the baboons is the dung beetle or scarab. Among Abraham's Horite caste the heart was the single organ that was not extracted from the mummified body. All the other organs were removed and stored in canopic jars. The heart was the essential organ when it came to resurrection of the body, as it would be weighed in the afterlife. The body of the pure-heart would rise from the dead, as the sun rises in the morning. 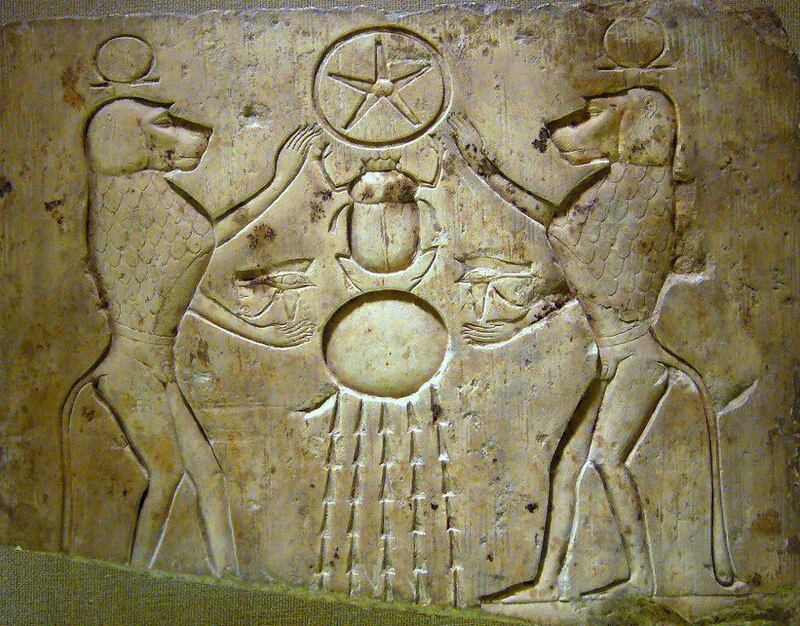 This is the significance of the dung beetle scarab placed over the mummy's heart. Some claim that this image represents Duat which they interpret as the cycle of reincarnation or the transmigration of souls. However, the Duat of ancient Egypt is not the same as Samsara. It is about the mirror image of the cosmos patterned on the Sun's rising and setting. The long expected ruler rises from death with the sun on the third day. In the image above, the eyes of Horus are seen to the right and left of the rising sun. This establishes the theological context as Horite. Abraham's ancestors were devotees of Horus, the seed or son of Ra. He was born of Hathor, who conceived by the overshadowing of the sun. Her totem was a cow and she is shown at Nile shrines holding her infant in a manger. Here we have elements of the Proto-Gospel and evidence that Messianic expectation is based on the Edenic Promise (Gen. 3:15) made to Abraham's Proto-Saharan and Nilotic ancestors. One of the shrines on the Horus Way was at Timnah. The copper mines here are at least 6,000 years old and there are newer ones as well, totaling about 10,000 shafts. The oldest mines were worked almost continuously until the Roman Period. There are ancient rock carvings showing Kushite warriors in chariots, holding axes and shields. A temple dedicated to Hathor, the mother of Horus, was discovered at the southwestern edge of Mt. Timnah by Professor Beno Rothenberg of Hebrew University.